I learned many years ago that letting your children “play” with their food was a great way to motivate them to try new foods. We encourage our children all throughout the day to experience the world with their five sense, but then discourage them from touching their foods. 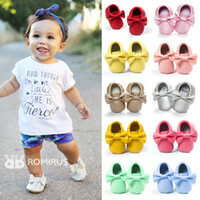 Children learn differently than us and I think that as adults we often for get this. Allowing your child to be both present in preparing the food, learning about it and creating it is so beneficial and not to mention… a great way to attempt new recipes! 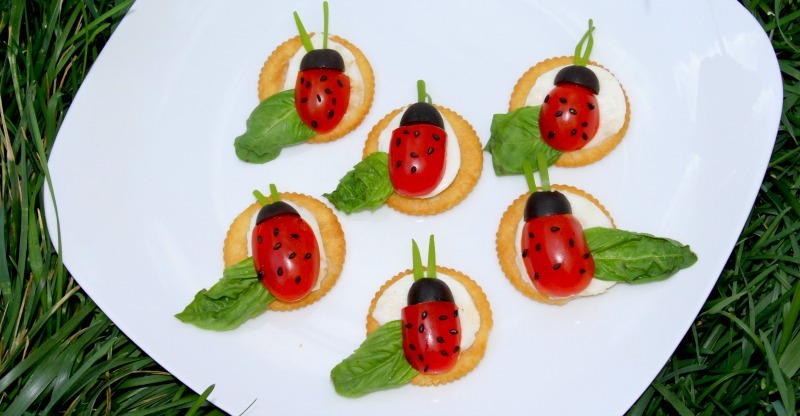 With spring in full bloom here in Georgia, we decided this was the perfect time to attempt creating some adorably delicious Caprese Ladybugs! 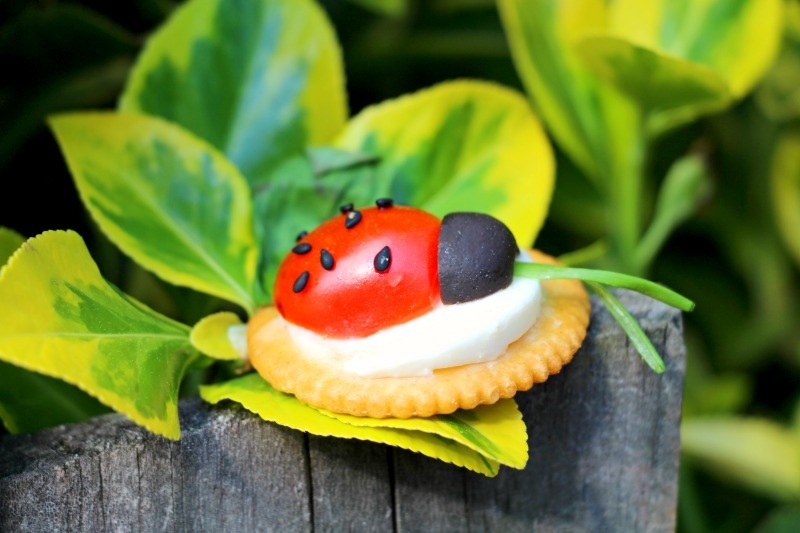 Other than having to cut and prepare the different ingredients for this recipe, your children really don’t need any other assistance when it comes to creating the ladybug. Just keep reminding yourself that they don’t have to look perfect, and it is the experience and memories you create that count. 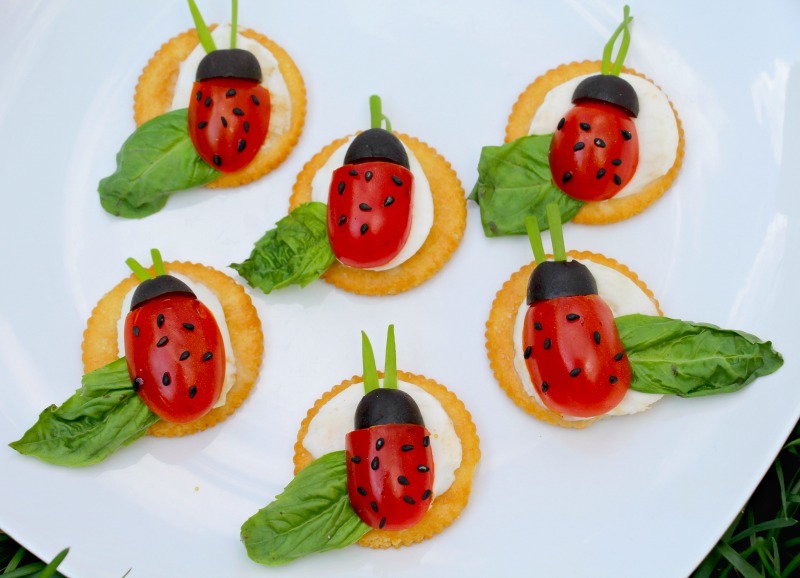 Allow them to try out the different ingredients while they are creating their ladybugs! 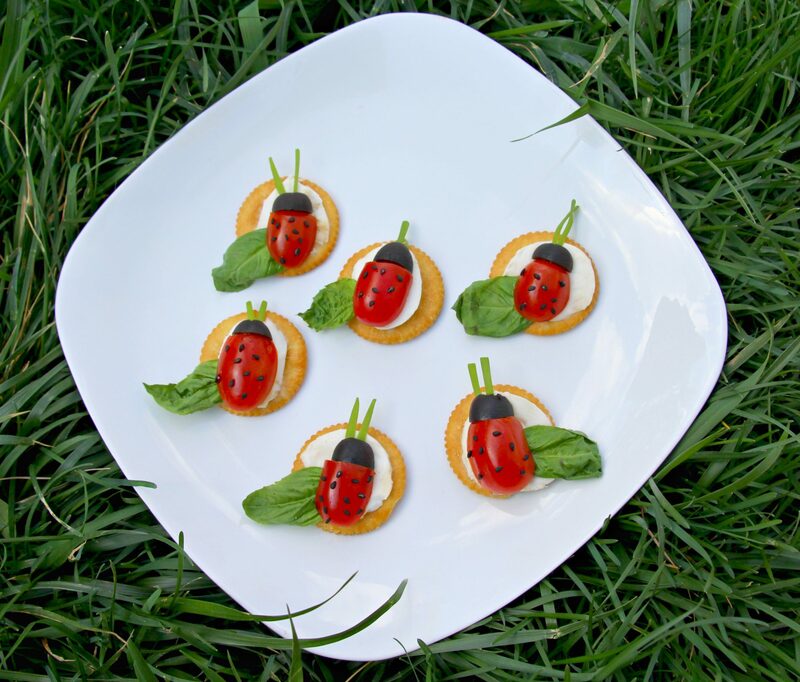 These were so simple to make and the kids had so much fun creating their ladybugs. The best part is that they are actually really delicious and something the whole family can enjoy eating together. Everything I needed for this recipe I found right at my local Kroger… and that is one of the many reasons I make my weekly grocery trip there! 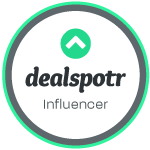 I can always expect to find not only the best prices, but amazing deals. If you check out the image of our shopping trip down below you can see that the RITZ Crackers were all on sale! If you do not live near a Kroger, I suggest you check out one of Kroger’s banner stores like Owens or Baker’s. 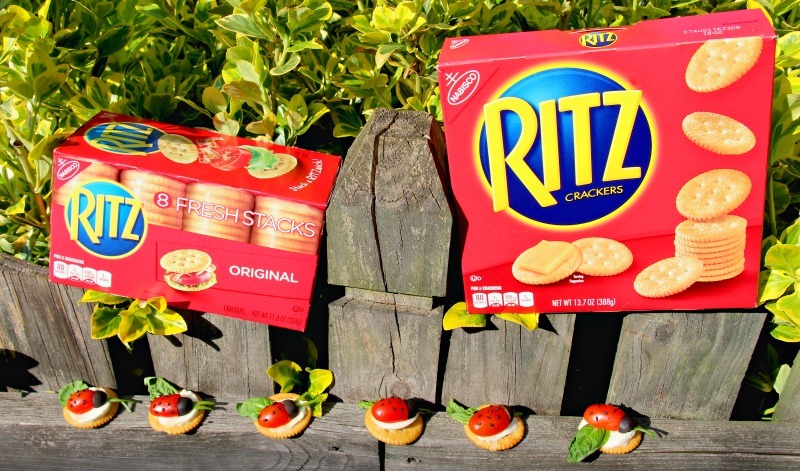 When creating this recipe I must emphasize that using RITZ Crackers is your best option! These are perfect for not only this recipe, but any special recipe you have for a special occasion. We also always have the 8 stacks in our pantry because my two older children are constantly asking that I pack them in their school lunch box. They are the perfect portion and great for your child’s snack time. I have also found that my children get bored with their everyday lunches if I am constantly packing them the same items. 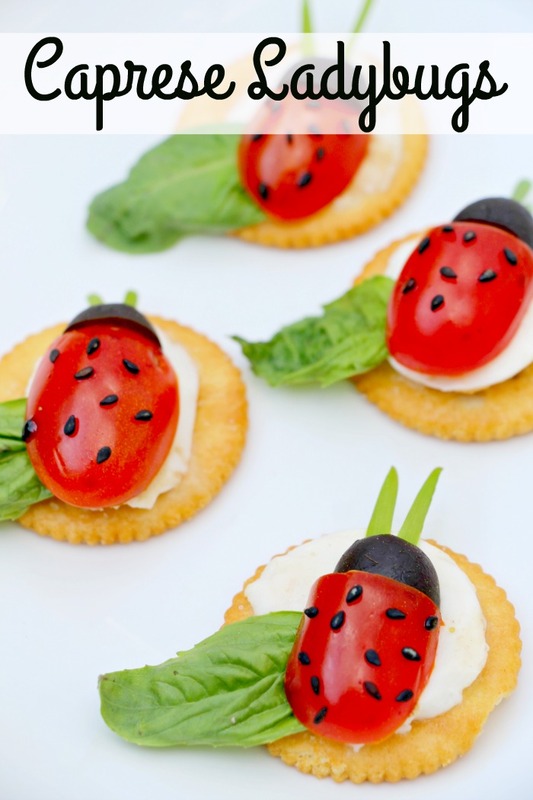 This ladybug recipe is the perfect way to change up their lunch and encourage them to try something new! For even more delicious recipe ideas visit FamilyRITZpiration.com! We hope you enjoyed this recipe and that it has inspired you to make some time to get messy with the kids in the kitchen! 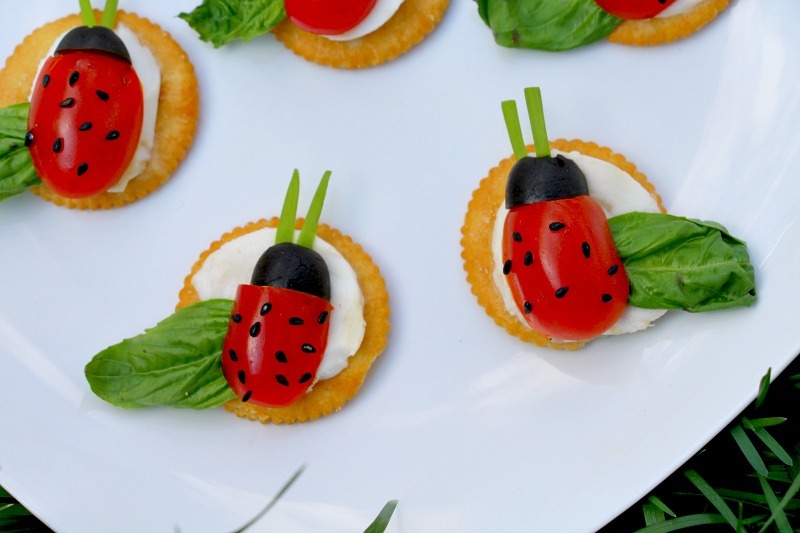 Find a quiet afternoon to just sit in the backyard and create some adorable and delicious Caprese Ladybugs. See more great kitchen finds here!